Tom Vaughan-Lawlor recently picked up the ‘Best Actor’ award at the Aubagne International Film Festival in France. Now in its 19th year, the festival which is based just outside the city of Marseille honoured Vaughan-Lawlor for his performance in Stephen Burke’s ‘Maze’. ‘MAZE’ has recently been acquired by NETFLIX (UK/IRL). 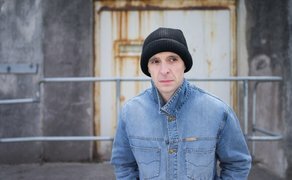 Tom Vaughan-Lawlor can also be seen in the role of Hugh Lane in another critically acclaimed Mammoth Films production CITIZEN LANE which is currently on its second week of release in Irish cinemas. ‘MAZE’ was written and directed by Stephen Burke and produced by Jane Doolan and Brendan Byrne. Released by Lionsgate the film was the most successful Irish feature film of 2017 at both the Irish and Northern Irish box office, achieving an all-Ireland gross of over 1 million dollars.